Experts from across the industry dug into the application of metadata to yield efficiencies in traditional publishing workflows, and beyond. 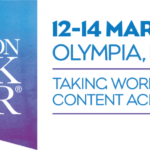 At London Book Fair 2019, we’ll cover Brexit, the power of metadata, after-market use for published material and the importance of collective licensing. 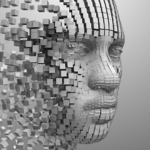 Could AI Machines be Publishing’s Next Target Audience? Jule Sigall’s presentation from PSP Conference 2019 casts artificial intelligence in a new light: as super consumers of published content. Process is more than workflow. It is the balance between content, people and technology that ensure the success factor for digital transformation. The digital disdain for boundaries is a powerful change agent. Catch up on the top episodes from Beyond the Book in 2018 about tech trends. In digital publishing, the virtual is very often the perfect substitute for the physical – but some things can’t be digitized, including trust and truth. Publishing’s global culture of excellence in science and the arts continues to push boundaries – new markets; new technologies; and new communities. 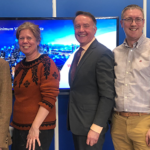 Notable topics from 2018 included digital transformation, info management in life sciences, Open Access and copyright legislation. Work smarter by defining the Minimal Viable Metadata for your organization’s content: the bare minimum information required to describe each element. Join Kiren Shoman (Editorial Director, SAGE Publishing) on 12 December for a live discussion on digital transformation in academic publishing.